The G20 leaders summit announced yesterday that Japan will host the summit next year, while Saudi Arabia will host the summit in 2020. This announcement came in the G20 Leaders’ declaration issued yesterday in the Argentine capital Buenos Aires, said a Saudi Press Agency report. 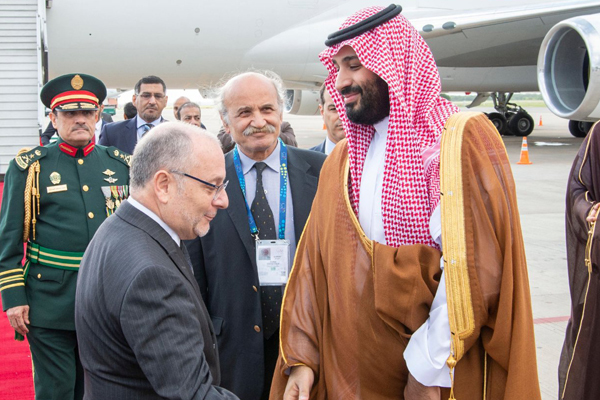 His Royal Highness Prince Mohammed bin Salman bin Abdulaziz, Crown Prince, Vice President of the Council of Ministers and Minister of Defense of Saudi Arabia, took part in the summit along with leaders from other G20 nations. Building on the G20 Food Security and Nutrition Framework, the declaration reaffirmed their commitment to tackling the challenges of food security, which is crucial to achieving a world free of hunger and all forms of malnutrition. "We will promote dynamism in rural areas and sustainable agriculture, conscious of the importance of sustainable soil, water and riverbanks management supported by individual countries voluntarily, taking into consideration the specific needs of family and small-holder farmers. We encourage the voluntary use and sharing of innovative as well as traditional agricultural practices and technologies," it said. It highlighted the importance of collaboration among public and private stakeholders to strengthen risk management, facilitate adaptation to a changing environment, protect biodiversity and provide effective responses to reduce the impacts of extreme weather on agriculture. "We will increase efforts to engage with the private sector, the scientific community and all other relevant stakeholders to enhance value addition, productivity, efficiency, sustainability and upgrading in agro-food global value chains and encourage initiatives to reduce food loss and waste," the declaration added.